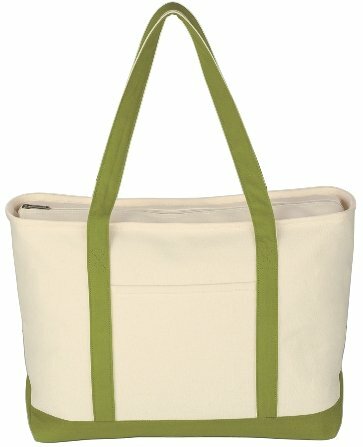 Above center is the Red Trim Canvas Boat Promotional Tote Bag color. 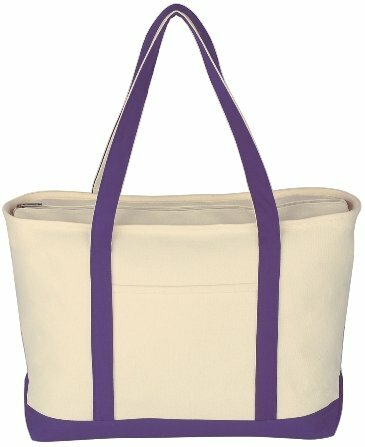 Left to right above are Purple, Lime Green Canvas Boat Promotional Tote Bag Colors. 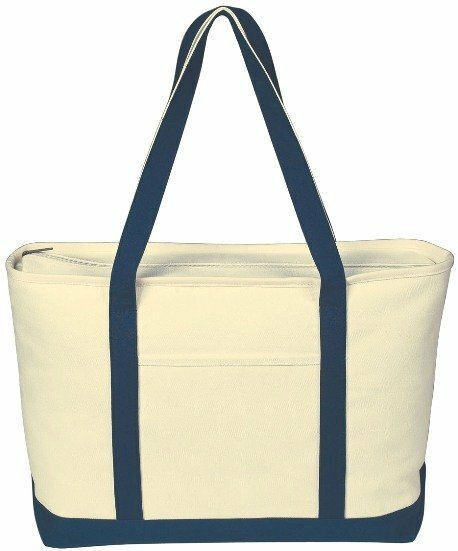 Above center is the Navy Blue Trim Canvas Boat Tote Bag color. 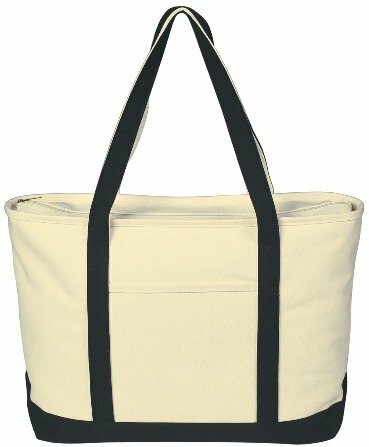 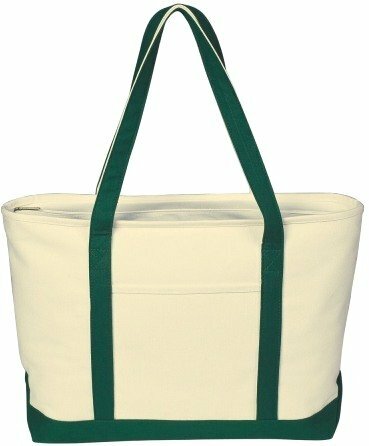 Left to right above are Forest Green, Black Canvas Boat Promotional Tote Bag Colors. 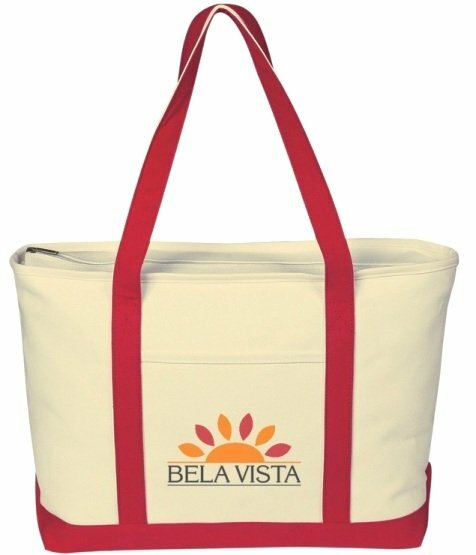 the same imprint and print color throughout the entire order.